The expansion of nearby Bradford and Leeds led the Bradford Corporation to begin construction of Scar House and Angram Reservoirs in 1904 to provide drinking water for the increasing urban populations. Before this work could start, Gouthwaite Reservoir was first constructed (at the end of the 19th century) as a compensation reservoir to ensure that the water-driven textile mills downstream on the River Nidd always had sufficient water to operate. 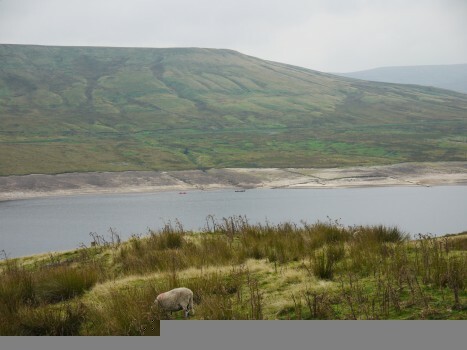 This large scale reservoir building programme brought about arguably the most significant man-made change in Upper Nidderdale’s landscape, with considerable sections of the dale lost beneath the waters. Construction was an enormous task, taking many years and involving thousands of workers, most of whom lived at Scar Village, a specially built navvy camp at the top of the dale. The corporation built the Nidd Valley Light Railway from Pateley Bridge to Angram, which transported workers and materials, as well as tourists. The works were completed in 1936 and have provided Leeds and Bradford’s water supply ever since, although Scar Village and the railway were removed once they were no longer required.